MANILA, Philippines – Apart from signing Proclamation no. 1081, then president Ferdinand Marcos also issued 6 general orders and one letter of instruction to fully implement his martial rule. 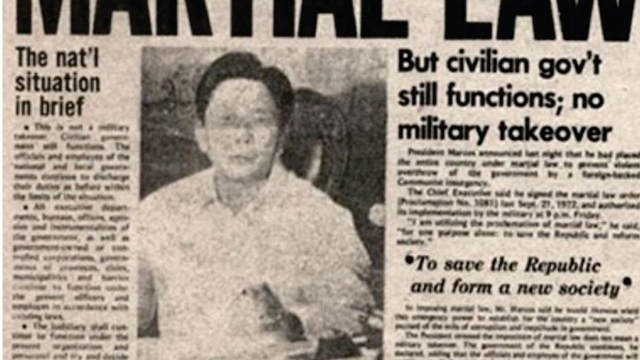 Marcos signed the famous proclamation on September 21, 1972, which put the nation under martial law for over a decade, then ordered the armed forces to “prevent or supress…any act of insurrection or rebellion.” He then gave out specific instructions to his officials and the public through separate orders. Marcos released on September 23 and 30 a list of persons that he allowed to carry firearms.